It feels like this year is flying past at about 100 miles an hour! 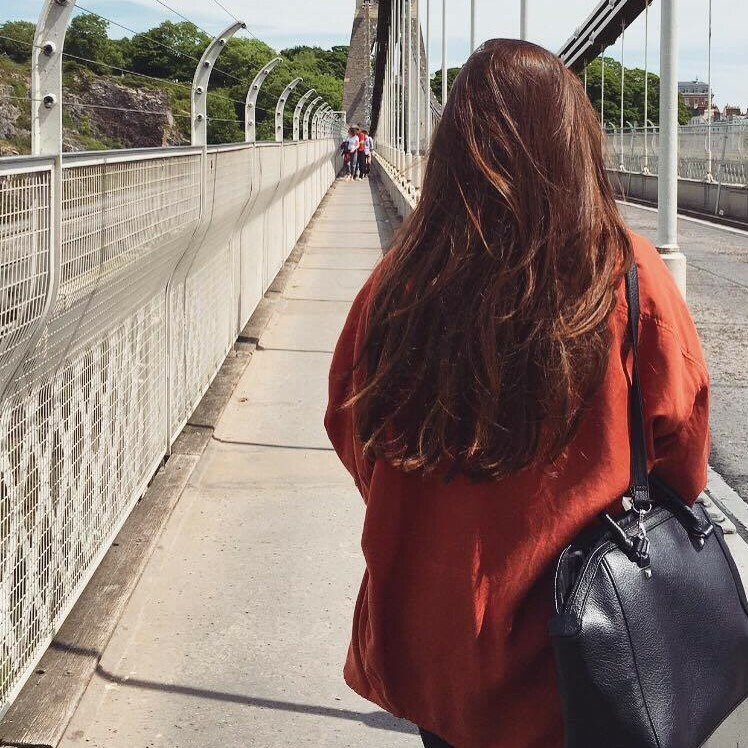 March was a lovely month – I had lots of birthday celebrations with friends and family, a fun holiday and had the best Easter weekend. During all of this, there were a few beauty products that stood out to me the whole month. So, here they are, put together in a ‘beauty favourites’ blog post! I love a good facial mist. When I buy one, I look for a spray that has an even, finely-spread mist, adds hydration but without looking too wet on the skin. 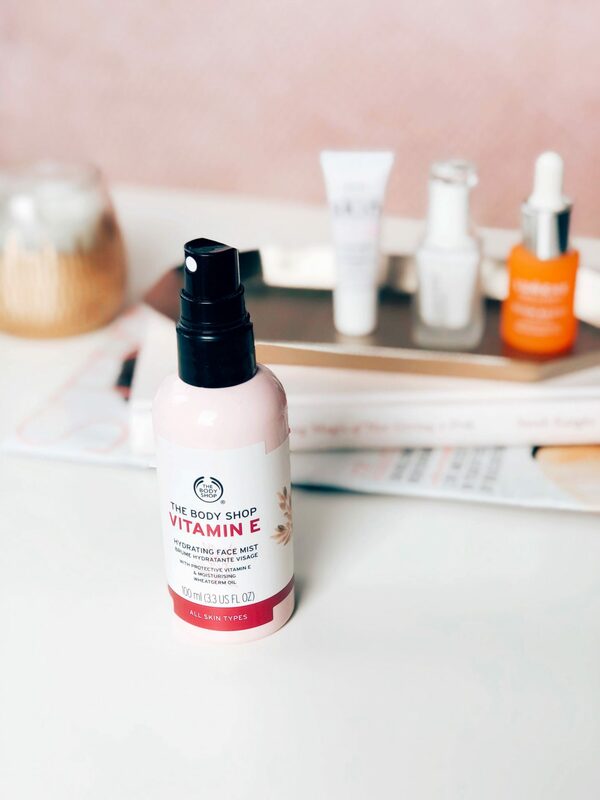 The Vitamin E spray from The Body Shop manages to to all of the above as well as smelling amazing. This is the second bottle I’ve bought, and I featured it in my Body Shop Haul post. My favourite times to use this are straight out of the shower, after cleansing or using a face mask. It rehydrates without leaving my skin dripping wet, and has an amazing cooling power that calms irritated skin. I’ve had really dry skin recently, and I’m grateful to have this in my makeup bag. For around £10, it lasts for such a long time too. A fab, multi-use product that is worth keeping in your skincare collection. 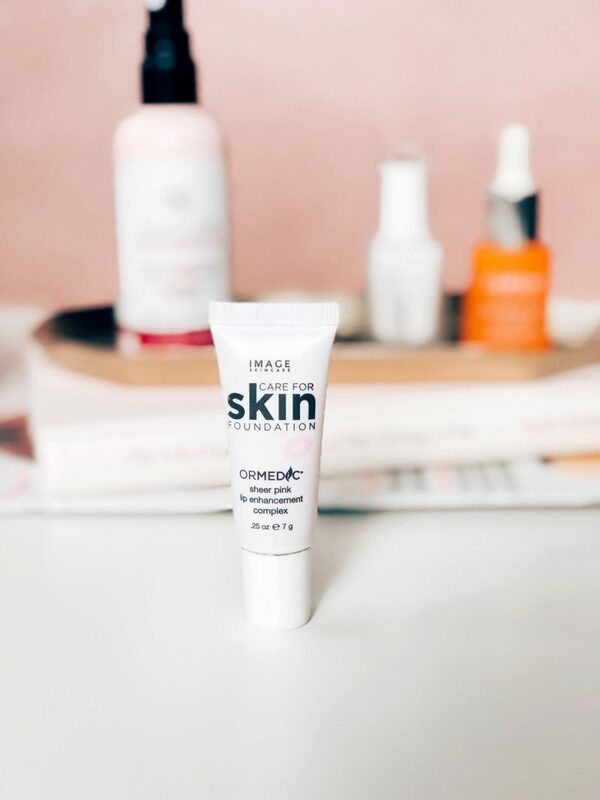 This little pot of brilliance arrived in my March BirchBox parcel, and I’m not joking when I say I’ve used it every single day since. 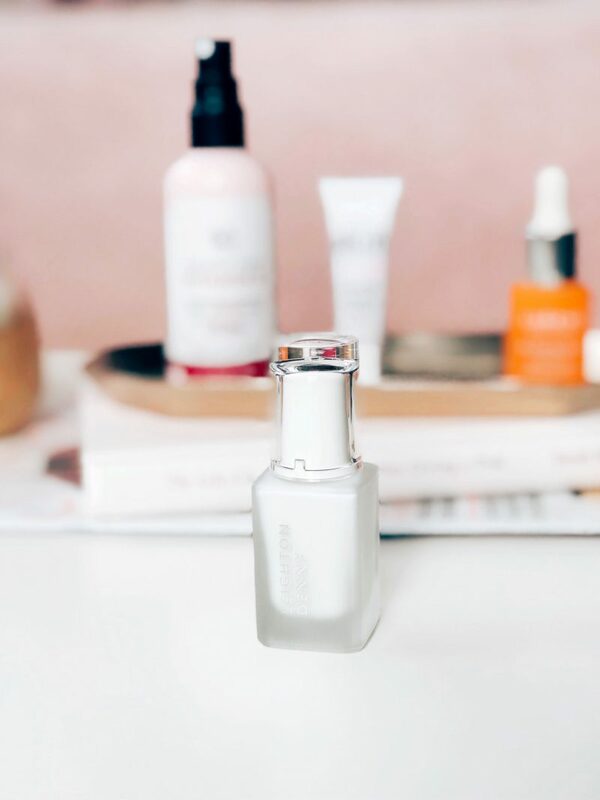 The lightweight serum seriously packs a punch, and my skin has been drinking it. 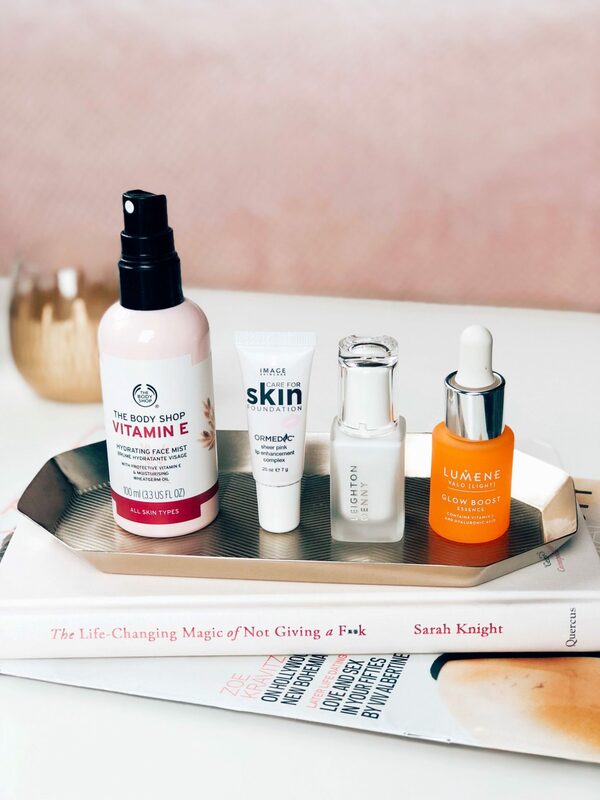 A 5p-sized dot covers my whole face, and my favourite part about it is the Vitamin C. It is one of the skincare ingredients that we should all include in our skincare routine – the antioxidant helps with ageing skin, shielding it from pollution and improving hydration. 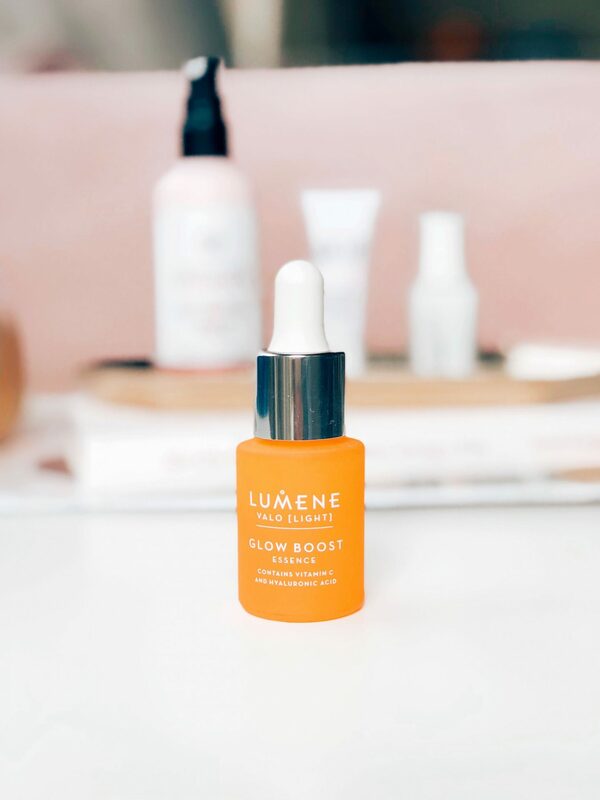 TheLumene Glow serum smells incredible; like fresh oranges. Delicious. For now, it has replaced my vitamin-E-cream-followed-by-hyaluronic-acid-serum routine that I was doing each morning. A brilliant 2-in-1 product that I like under makeup, or alone! Day-to-day, I don’t wear a lot of lip products. I tend to like lipstick most when I’m wearing a fuller coverage foundation, which I don’t usually wear often. For this reason, I love a good lip balm, and this Image lip balm is currently top of my list. This little gem arrived through my door at the end of the month but I have to share it with you, in case this is the answer to your nail problems! Another gifted item I’ve been lucky enough to try, (it really is a good one though!) this is a peel off base coat. I was so interested to try this product. It is designed to sit under glitter nail polish (notoriously difficult to remove) or dark shades (which can stain the nails). The product itself is white, but dries pretty sheer on the nails. Apply in place of your usual base-coat and use your usual glitter nail polish as normal. Once you are ready to remove, you just need to pick the edge of the nail slightly and the whole layers of polish peel away. SO handy for nail polish shades that are hard to remove. It really does work -I’ll include it in another blog post too to let you know how many days wear I get out of it – I was too eager to try the peeling-off removal to let it last! Would you consider trying any of these products?